Let’s get one thing straight from the start, Nicholai Ceausescu was a real person, and a very real dictator, although for most people it was the nature of his death rather than his life that he is remembered for. He and his wife were executed on Christmas Day 1989 after being apprehended as they tried to flee the revolution that toppled the communist regime that they headed in Romania. I can remember the TV news carrying the story. It was quite a revolutionary year. Perhaps it was inevitable that once one of the communist regimes that dominated Central and Eastern Europe opened the iron curtain that they would all fall like a row of dominos standing too close to each other. Most, East Germany, Hungary, fell without violence. The change in Czechoslovakia was so peaceful it became known as the velvet revolution. Romania alone collapsed violently. But then Romania had often stood alone amongst the Warsaw Pact countries. Ceausescu had refused to participate in both the invasion of Czechoslovakia to quash an uprising; and to be part of the Soviet boycott of the 1984 Olympic Games in Los Angeles. Rumania came third in the medals table. Unsurprisingly to western governments he was a nice guy who they were happy to lend money to. Money that was intended to help build a strong economy but was instead was used to finance the construction of a personality cult around Nicholai the great leader. So, when the western banks wanted the loans repaid Nicholai was forced to introduce a brutal austerity programme which left people starving. The personality cult he had built meant that the revolutionaries didn’t want to overthrow the system they wanted to destroy the personality that had been the figurehead of the system. And that is how we find ourselves observing Nicholai and his wife in the palace they built for themselves, the biggest palace in the world, as they realise that the good times are coming to an end. The opportunity to see something that is still in development means that you are in at the start, ahead of the game. The downside is that you have to see almost every idea that the writers have ever had. It’s like a massive creative brain dump! And it’s fantastic! On the other hand, there are times when I am looking at a bowel dump. There is too much swearing, some related to seeing you next Tuesday, serves no purpose, it even fails to shock, perhaps because the performers seem to be embarrassed as they utter them. A song that might be what I once heard Michael Ball describe as essential to every successful musical, the 1030pm show stopper, won’t be because of the swearing. It belittles the talents of the writers who could, I am sure, have made better use of the descriptive opportunities provided by the English language to make their point. The ending is never in doubt, but this is not a historical musical like Evita, which records the rise and fall of an Argentinean dictator’s wife. There are historical facts in Ceausescu, but an awful lot of artistic licence is applied. The common feature is the personality cult on which both Ceausescu and Peron in Argentina build their power. As the story develops we are given a glimpse into how social media is being used to build similar commercial power bases. The problem with personality cults is that the personality starts to believe their own publicity. Ceausescu saw the orchestrated crowds and interpreted that in the same way a modern celebrity might interpret having a million followers. They both start to think that they can do whatever they want. When that happens, they break the rules of the cult by failing to live up to the expectations of their followers. The reality behind the cult is exposed and a wholly different sort of fan comes into action. The result for both historical figure and modern day media superstar is the same. 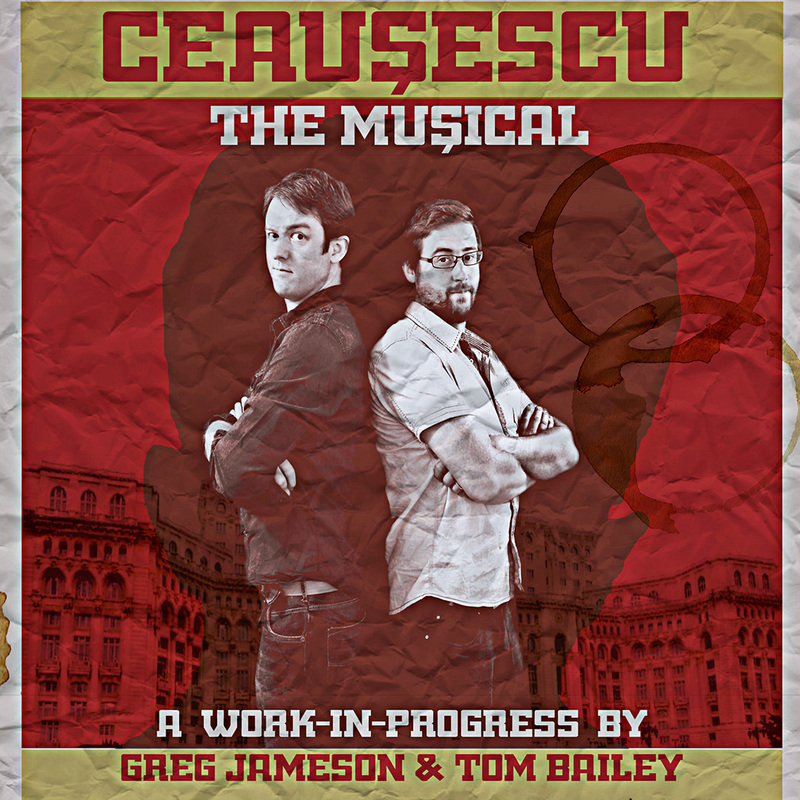 Ceausescu is a very clever piece of musical theatre. There are times, when I might be watching a musical farce about the making of a musical, but Ceausescu is nothing like 42nd Street. At others Ceausescu could be the musical that Mel Brooks envisaged The Producers being. 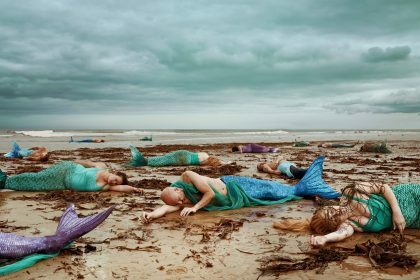 At the end, I am convinced that I am experiencing what may well create a cult following and be the next Rocky Horror Show.